I love the poem! And was just thinking of you and hoping that the garden was waking up beautifully. Happy Earth Day, Siobhan! Thank you! Hey did you read about that 105 year old who said the secret to long life was bacon? Of course it is! I didn’t read that! Googling now! I cannot believe how green everything is in your photo! We’re still a few weeks away from those vies but they’re on the way. Your father knows how to welcome Spring: with a bath and a poem. Perfect! It’s the rain – we’ve got man-sized weeds growing everywhere! 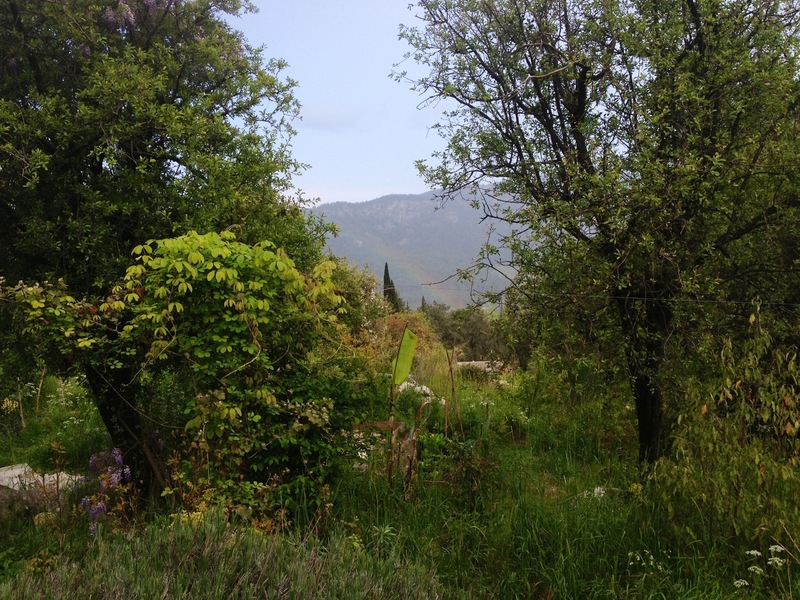 It took me a minute to find that rainbow but glad I found….beautiful images!!! I’m too sporadic a poster, I think. But I am working on it!